The main thrust of the World Land Trust is to raise funds to purchase land that is critically threatened by destructive activities such as logging and clearance to make way for intensive agriculture. But this raises the question: "What happens next?" When World Land Trust (WLT) commits to support its overseas partners in securing land and creating a new protected area, the intention is that these reserves will be protected in perpetuity. With each new reserve comes the associated challenge of how best to ensure its permanent protection. And now that WLT has successfully raised funds for the purchase of over 375,000 acres worldwide this puts a tremendous strain on our project partners who take on the responsibility of protecting their wildlife reserves. Ways of raising a sustainable income stream was one of the key issues that was discussed at a ground-breaking symposium held in The Netherlands in September 2006, to discuss "Land Purchase as a Intervention Strategy for Nature Conservation"
"I am normally very cynical about conferences, and gave up going to most of them years ago, but this symposium demonstrated that if the right people get together, really significant results can be achieved." 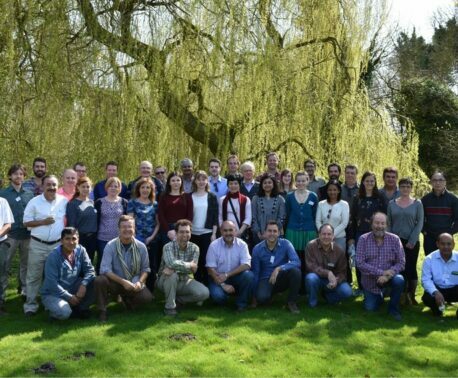 Held jointly with the IUCN National Committee for the Netherlands (IUCN-NL), the first symposium was attended by the key decision makers from WLT's overseas NGO partners and those of IUCN-NL, and it proved a unique and stimulating forum for discussion. 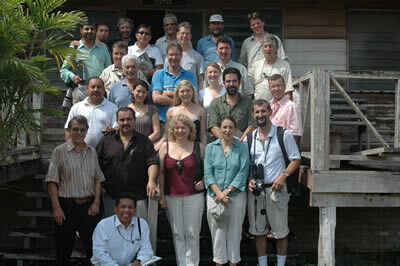 Delegates were all agreed that such meetings should be held every 18-months and the second symposium took place in May 2008, hosted by WLT's first project partners, Programme for Belize. This symposium brought together NGO leaders to discuss "Financial Sustainability of Private Protected Areas". 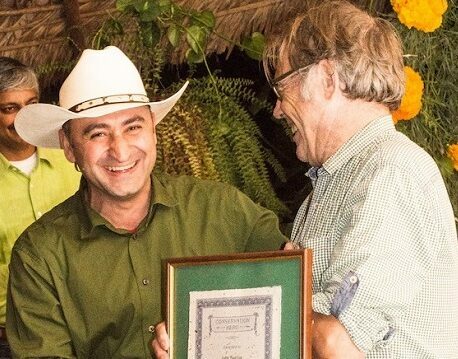 Attended by seventeen participants from countries ranging from Argentina to India, the symposium was held at the La Milpa Field Station at the Rio Bravo Conservation and Management Area in Belize, in the forest that WLT was set up to help purchase and save nearly twenty years ago. Delegates at the four-day symposium discussed topics specifically addressing the creation of sustainable income streams for conservation, including Payment for Ecological Services, Carbon Sequestration, Tourism, and Endowment Funds. The wealth of experience and expertise represented by the 17 participants enabled in-depth discussion on the potential opportunities and pit-falls of these topics, and each participant returned home with information and inspiration on how to develop their conservation activities and fulfil their pledges to protecting the reserves in their countries.